He is a 44-year-old citizen of Mauritania. As of January 2010, the Guantánamo Review Task Force had recommended him for prosecution. 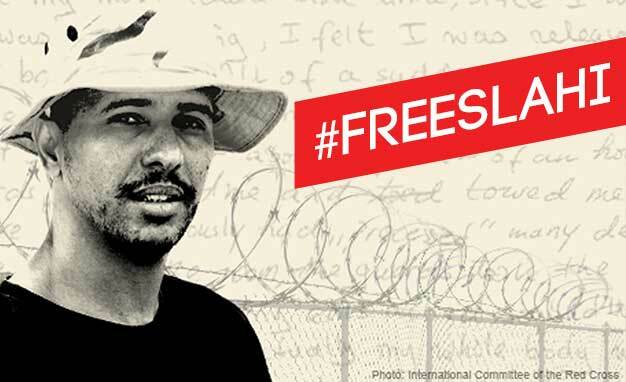 As of Nov. 20, 2015, he has been held at Guantánamo for 13 years three months. 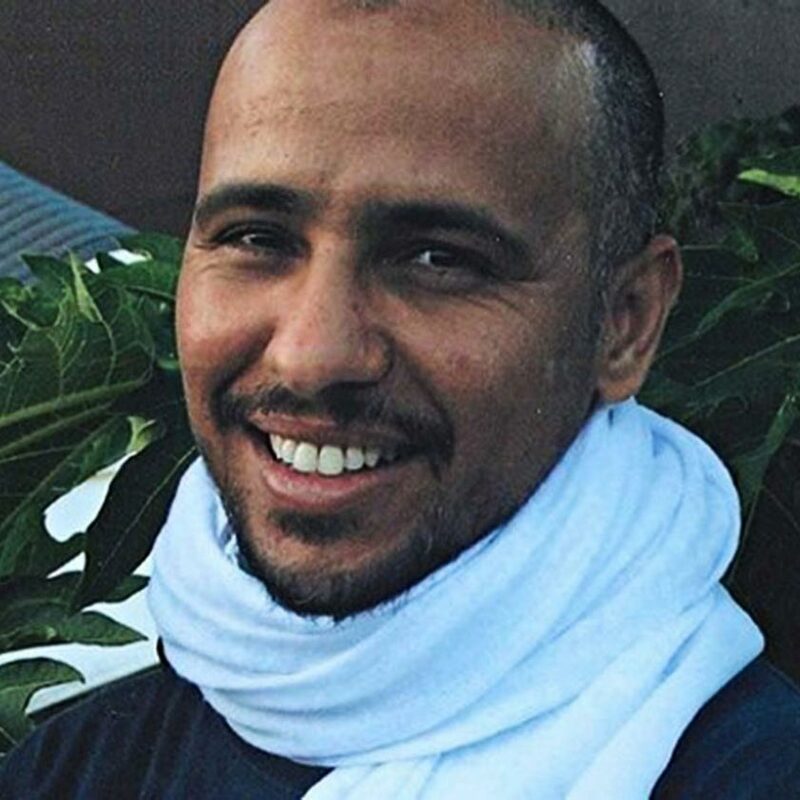 Andy Worthington writes : “Mohamedou Ould Slahi, the author of Guantánamo Diary, has become a New York Times bestseller, even though Slahi is still held at Guantánamo. He wrote it in the prison as a hand-written manuscript in 2005, but it took until 2012 for it to be approved for release by the U.S. authorities — albeit with over 2,500 redactions. A Mauritanian, born in 1970, Slahi was singled out for a specific torture program, approved by Donald Rumsfeld, in 2003. He had aroused U.S. suspicions because he was related to Abu Hafs, the spiritual advisor to Al-Qaeda (who, lest we forget, opposed the 9/11 attacks), and because, while living in Germany in 1999, three would-be jihadists, including Ramzi bin al-Shibh, an alleged facilitator of the 9/11 attacks, had stayed for a night at his house. However, although Slahi had trained and fought in Afghanistan in 1991-2, when, apparently, he had sworn allegiance to Al-Qaeda, that was the extent of his involvement with terrorism or militant activity, as Judge James Robertson, a District Court judge, concluded in March 2010, when he granted Slahi’s habeas corpus petition. The Obama administration appealed Judge Robertson’s ruling, and in November 2010 the court of appeals — the D.C. Circuit Court — backed the government, vacating Judge Robertson’s ruling, and sending it back to the lower court to reconsider. That never happened, and Slahi ended up abandoned. The high-level, inter-agency Guantánamo Review Task Force that President Obama established shortly after taking office in January 2009 had recommended him for prosecution in its final report two months before his habeas corpus petition was granted, and this stood until April 2013, when he was determined to be eligible for a new review process, the Periodic Review Boards, along with 24 other men who had initially been recommended for prosecution by the task force, and 46 others who had been recommended for ongoing imprisonment without charge or trial, on the profoundly dubious basis that they were too dangerous to release, but that insufficient evidence existed to put them on trial. An interview with Mohamedou’s editor here.